I have the absolute best people in my life. My sister and her husband originally told me about this natural phenomenon. Then, a couple weeks later a couple of good friends asked me if I heard about it. Finally, a few days before the occurrence, my mom sent me a text telling me about it. Seriously though? How cool is that? I have such an amazing support system for my photography. Whenever something cool is happening, I know that I will hear about it one way or another. When my sister told me about it, obviously I began researching it. When is it? What is it? Where to see it? 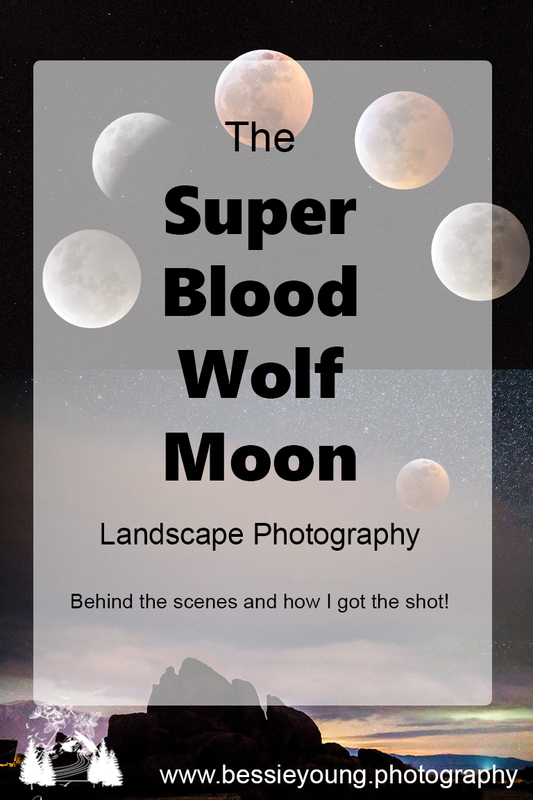 I mean all the things 😊 If you want to learn a bit more about all the details make sure to check out my recent post on ‘How to Photograph the Super Blood Wolf Moon’. This blog will give you probably a bit more information than you were expecting about this awesome show that the moon put on. My original plan was to head out into the foothills of my hometown to get some pretty images; however, that plan got thwarted when the weather called for rain. I’m not talking a slight drizzle either. I’m talking about a down pour. As I started to search for places to go and check the weather, it seemed like the majority of the State of California was going to be cloudy during the Super Blood Wolf Moon. Northern California was calling for thunderstorms and Southern California was calling for full cloud coverage. So, I got a little discouraged and figured I wasn’t going to be able to see it. Then I found the spot! The spot that might have a potential to be partially clear during the Super Blood Wolf Moon…. 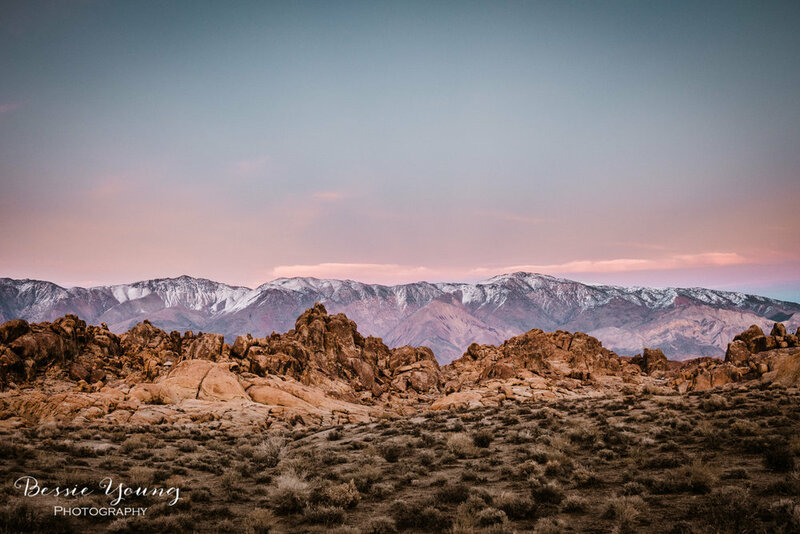 Lone Pine and the Alabama Hills. 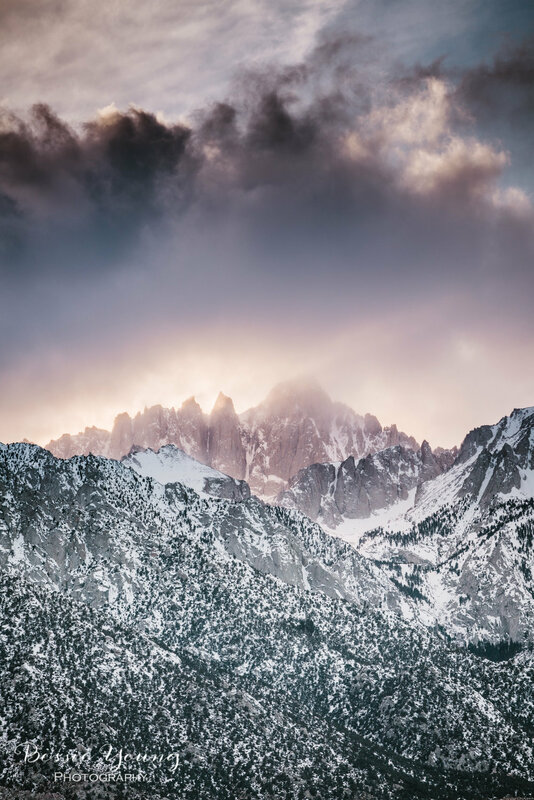 The question was, do I want to spend all the time, money, and effort to head over to the Alabama hills with pretty good odds not to see it? Well, I’m somewhat of a gambling girl, so I hopped in the car on Sunday to go and take my chances. 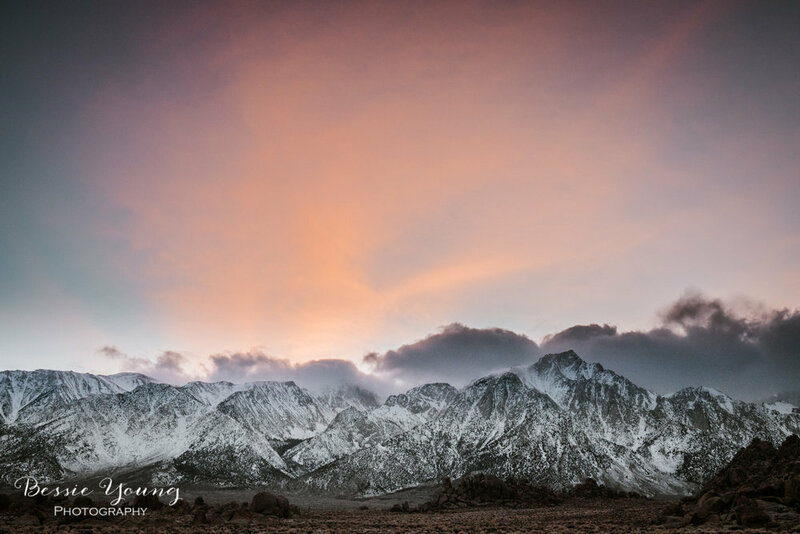 The drive to Alabama Hills is about 5 hours from my town. Not too terrible, but leaving on a whim left me in a little bit of a hurry. The moon was supposed to rise around 5:30pm and I left at 11:30. The eclipse wasn’t supposed to happen until 8pm or so; however, I really wanted to get an image of the Super Moon coming up over the mountain tops. I rolled into Alabama Hills about 4:30. PERFECT Timing let me tell you. I was super stoked because I also got to get some amazing sunset images. I mean seriously though, I took way too many sunset pictures. The clouds kept changing and things just were getting better and better. It was absolutely gorgeous. I wish I could share all the images with you. Actually, I got so caught up in taking sunset images, I didn’t leave much time to set up for the moon rise. Luckily, I was able to get both sunset and moon rise! YAS! The sky was partially cloudy, which made for some amazing sunset pictures, but it sure made me nervous for the moon. I wasn’t sure if I was going to be able to see it at all. Since the Blood Moon wasn’t supposed to begin until around 8pm, I had plenty of time to go grab some dinner. After dinner I headed back out. Let me tell you friends, it was freaking windy and cold. Like cold, cold cold. I had my down jacket on, a beanie, and hand warmers, and man it was cold. As I sat in my car, I looked up at the sky to only see clouds. You could see portions of the clouds lit up due to the brightness of the moon, but no moon! I sat there for a bit with the moon peaking out and then hiding behind the clouds. It played this game for almost an hour. As it started to peak out, I noticed that the eclipse had stated. The most frustrating part of this whole thing was that the clear sky was just at the edge of the moon. Yas, it was inches away from being visible. How frustrating is that?! So, I figured, I would get all my stuff set up just in case. I opened my door, and the wind almost tore it off. To the East was the clouds and the eclipse occurring right before my very own eyes, being hidden by the clouds. To the West there was a lightening storm. Where I stood was open skies with the wind whirling around me. As I set up my tripod, in the dark, the wind wanted to blow the entire set up over. I tried to get a few shots of the moon with the cloud cover and was completely unsuccessful. Eventually, I moved the car to block the wind. I sat there… waiting…. I could see the moon beginning to turn red, but the cloud cover was just barely too much that all my images were turning out blurry. All of them were blurry!!! I got a couple mediocre shots and the moon went completely behind the clouds for what seemed like forever. It was over, I was packing up. No reason to sit and stare at the night sky hoping for something to happen. I packed up all my things and sat in my car. Checked my phone, and just tried to get a bit warm. Then, out of no where, the MOON!!!! The full blown MOON!!!! I scrambled, cursed a little, and then jumped out of my car, set my equipment back up and BOOM! I FREAKING GOT THE SHOT! It was awesome and I am so dang thankful that I didn’t drive away when I was thinking about driving away! What Were My Settings for the Moon Images? I hope you all enjoyed this blog. Were you able to see the Super Blood Wolf Moon? Did you photograph it? If so leave a comment below . I would love to hear about your trip! The Lunar Eclipse will begin around 11:30 ET which means about 8L30 Pacific time. You will want to start watching the sky around 7:30pm. if you are in California. As the Earths shadow begins passing in from the lower left. Totality will be around 8:40 and the moon will return to its normal appearance around 9:40pm. This term is being used because there are several events happening all at once. It sure is a mouthful but lets break it down a little. Super Moon: A super moon occurs when the full moon is at its closest point to the earth. Wolf Moon: Every month has special names to describe the full moon. For January it is Wolf Moon. It originates from the Native American folklore. Blood Moon: This is going to be the coolest part of the show. This is the lunar eclipse where the moon will turn a blood red color as it passes the Earths shadow. You will need to be outside, during the right hours, with clear open skies. If it is cloudy, which is what the California weather is calling for, you unfortunately will not be able to see it. Most of the US will have the ability to see the Super Blood Wolf Moon this January. You will not need any special equipment to see it. Just your own two eyes. Decide if you want a large landscape shot, or just the moon shot. This will determine your lens. That’s it! Now get out there and freaking get some amazing moon images! Are you going out to see the show? Comment below and let me know where you will be viewing it from, what kind of gear you plan on using, and all the deets! I can’t wait to see your photos!! So, how in the literal heck do you even start to take photos at night in order to create a beautiful jaw dropping image? Well my friend I am here for you! I am super excited to share this video and blog with you for so many reasons, but the main reason is because for years, and years, and years I struggled with taking night photos. I spent countless hours researching it. I had so many failed attempts testing out the tips and tricks that I was reading online , or in photography magazines, or watching YouTube videos . I did all the things and still could not get good night photos. My pictures were dark, muddy, grainy, blurry, and everything bad about a photo. An easy go to guide for the perfect photo. Completely Free! After years of trial and error I have finally compiled some of the main tricks that I've learned and taught myself when it comes to taking night photos. I am so beyond excited to share this information with you guys to really help you , and help you not have to spend all the time doing all the research. Make sure the moon is small or that there is no moon at all. A mood that is over a quarter moon is going to be way too bright. Scope out your location and find the best composition while it is day time and light outside. Focus your lens while it is day light! Oh my gosh this is huuugggeeee! I couldn't ever figure out how to get those tack sharp images. I would always "focus to infinity" because that is what everyone said to do, but guess what.... THAT DOESN'T WORK! Infinity has a little bit of wiggle room and that is really going to make or break your image. So after you are done scoping out your location (tip 5). Set up your tripod and focus your camera. This way, when it is dark outside you will not have to try to figure out how to focus. You will know already where to focus your camera at and you will be good to go! Start off with settings at ISO: 2000 | F2.8 | Shutter 10" and go from there. You are going to have to play around just like any other landscape photo. Make sure that you get a few variations and that way you can pick your favorite in post. Now go out there and try these photography tips and tricks on how to take night photos! Leave a comment below and let me know what your favorite tips are or if you have any additional tips that I didn't mention :) . Don't forget to share this with all your shutter bug friends! Wishing you nothing but a beautiful day! This weekend I decided to go adventuring into the desert. I found out that in Nevada there is a little town called Pahrump that has a hot air balloon festival! The festival has hot air balloon rides, a Ferris Wheel, and then in the evening they have an amazing hot air balloon light show that is timed to music. Driving to Pahrump took approximately 6 and a half hours. I decided to go down Hwy 99, then up over Hwy 58, along Hwy 15, and then take Hwy 178 into Pahrump, Nevada. This route made it to where there would be ample places to stop and take breaks, fill up on gas, and allow the best scenery of the desert. I had booked a little cabin at the Preferred RV resort. It was such a cute little cabin and totally worth it as it was about half the price of any hotel room. This little cabin was equipped with a bed, bathroom, kitchen and living room. It had a TV, pots and pans for cooking, along with a coffee pot! The cabin was pet friendly which is a must for me as we all know I can't go anywhere without Yota. The balloon festival lasted all weekend. In the morning they had a little take off session for the balloons. Then in the afternoon there were different types of vendors, carnival rides, and hot air balloon rides. Around 6:30 the balloon light show started, on both Friday and Saturday, and lasted until about 6:50pm. People began gathering around the field at about 5pm. This festival was definitely a happening place. I got there around 5 for the light show to claim my spot. The good spots filled up fast around the field, so I was happy that I got there so early. To find out more about the festivities check out their site here. It was a little cold that evening. I had on a warm jacket, long sleeves, jeans, and boots. Even with all that, my toes were still super cold. If you do plan on heading out to this balloon festival make sure to pack an easy to carry chair, like this one, and some warm clothes. All in all, this balloon festival was alot of fun. The timing was a little off as the flyer said the light show started at 6, but it really started at 6:30. There were two balloons that you could ride in. The balloons were tethered to the ground and the tickets were $10 each. If you wanted to get up close and personal to the balloons you could pay a VIP field entrance fee of $30. This allowed you to get much closer to the balloons during the light show. If not, you needed to stay behind a fence (which is what I did). For me, it was all about the picture opportunity and the light show. The pictures turned out fantastic! An all too familiar tune was sounding in the far distance. I rolled over and rubbed my eyes, picked up my phone to see the the time.... 12:30am... my alarm going off nice and loud. Turning it off I rolled over on my back, rubbing my stinging eyes, and then Boom it hit me... the meteor shower! 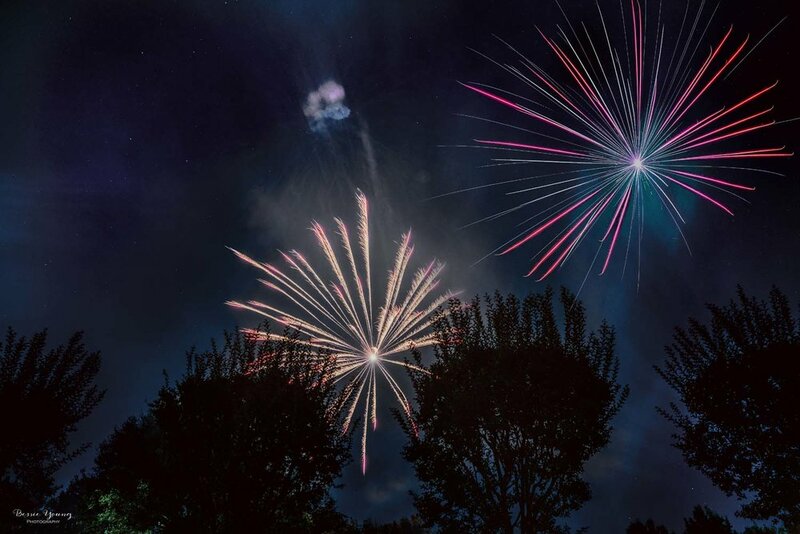 It is time to head out and enjoy the yearly meteor shower, not to mention get some amazing photos :) I had originally planned to pull an all nighter, but why do that when you can get a few hours of shut eye and still enjoy the natural occurrence? All my things were already loaded in the car. All I had to do was walk outside and drive to my planned spot at the North side of Millerton lake! The annual meteor shower hit its peak during the morning of Friday, August 12th. Each and every year, during August, the Earth passes through a trail of debris left by the comet Swift Tuttle. When this happens the event is called the Perseid Meteor Shower. This year it was predicted that at the height of the Meteor Shower there could be a soar of 200 meteors per hour during perfect conditions. Perfect conditions being clear skies, no artificial light, and a new moon. This year the moon is about half and sets around 1am which is the perfect time to go out and watch the show. Why should you make the effort to watch the Perseid meteor shower? Wishing you lots nothing but great adventures! All video was taken with my phone. Umm what!!!! Yes, that got my attention in the matter of seconds. "once in a generation event"!! So of course I had to get my google foo on to research this so called strawberry moon. It just so happened that I was lucky enough to be in the right place at the right time! Talk about amazing! I was one of the lucky ones. One of the people that actually witnessed this event happening. I was even luckier as I just so happen to have all my photography gear in order to capture this amazing event! Wow, just wow! So, what is this once in a generation thing that I am talking about? The summer Solstice and the Full moon occurring on the same day. 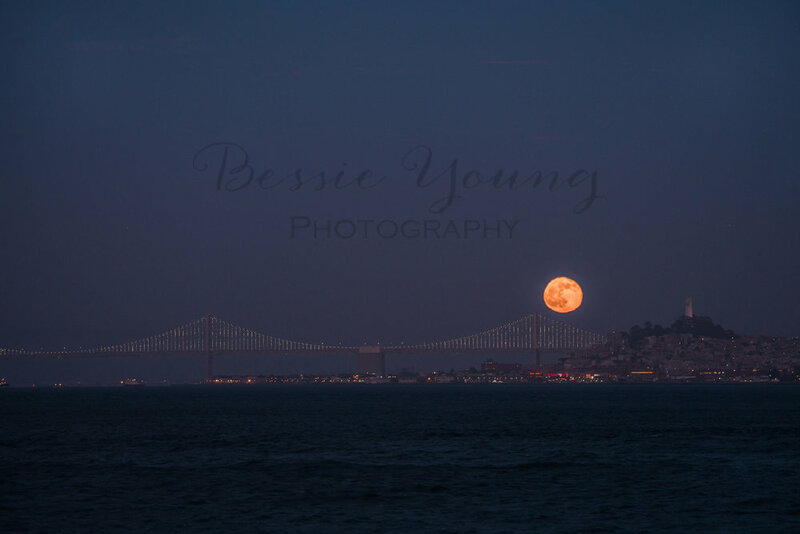 The full moon rose on the same day as the June solstice for the very first time since 1948, and I got to photograph it!! Wishing you nothing but great adventures and beautiful days!